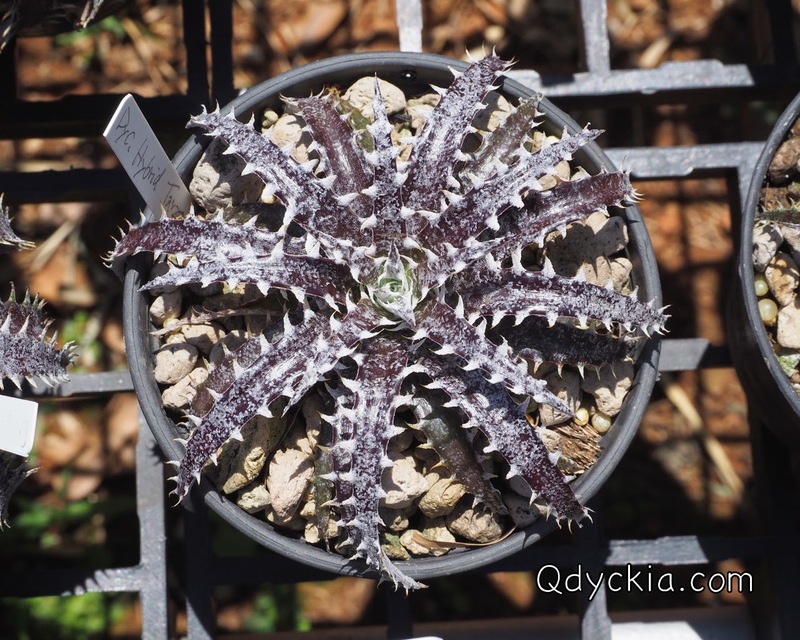 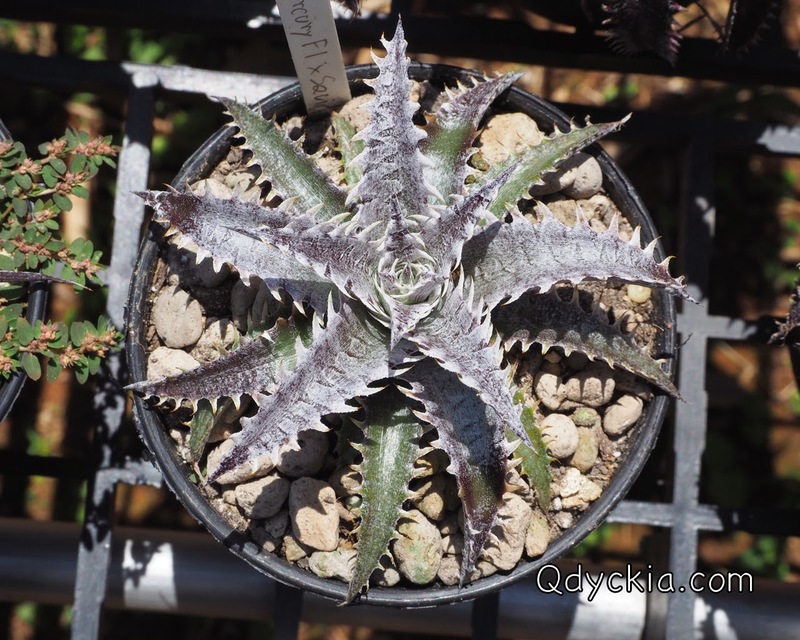 Good morning Sunday, today I will show you some of my Dyckia hybrid in Qdyckia garden. 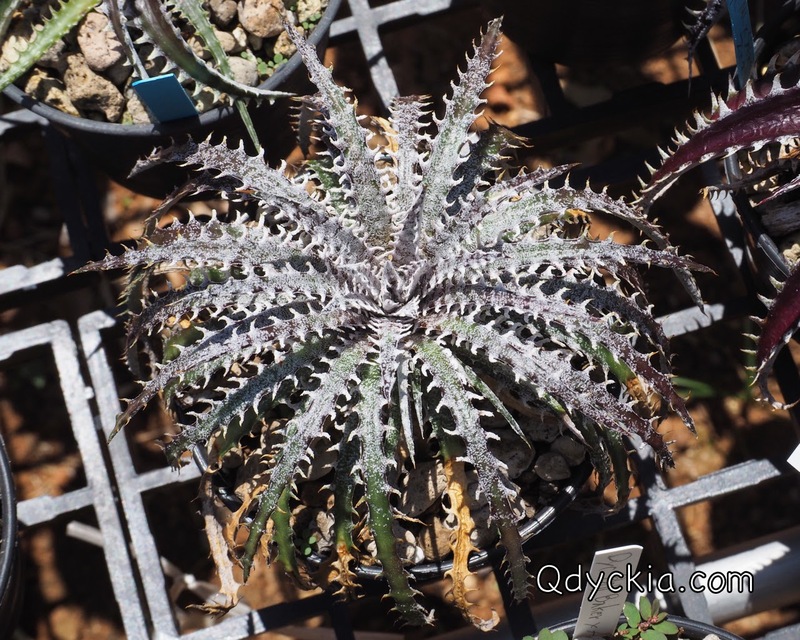 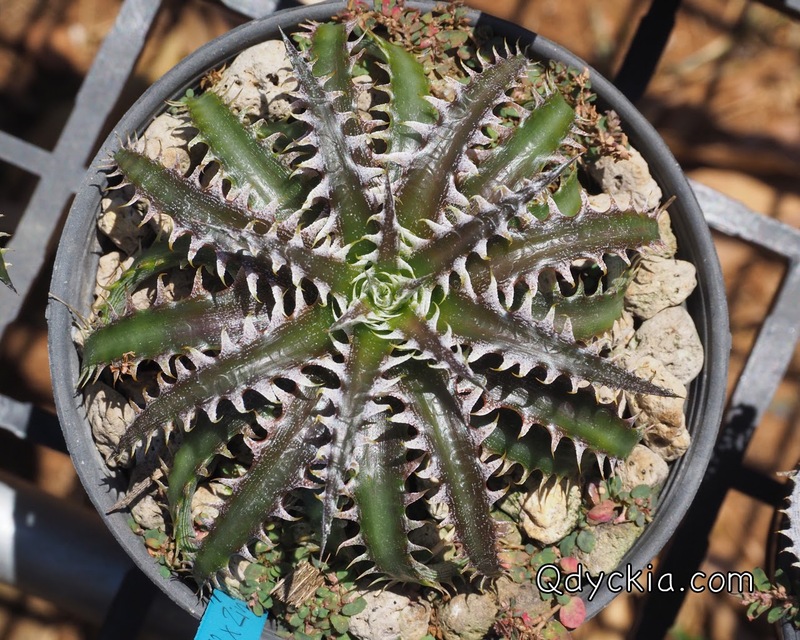 All are my collections but every month I will choose some of them to sell for all Dyckia Fans. 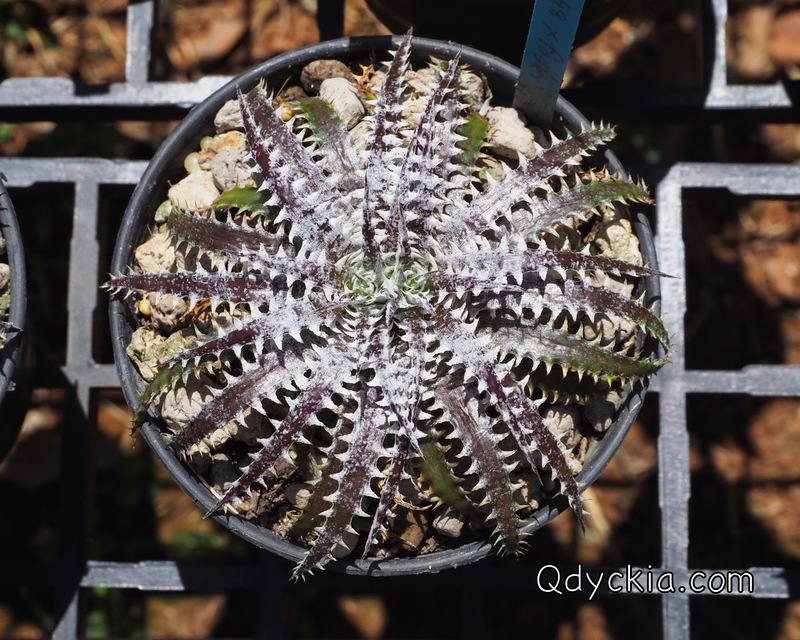 Dyckia Squid X Zinfandel F2 # 8, special red leaf with nice trichome. 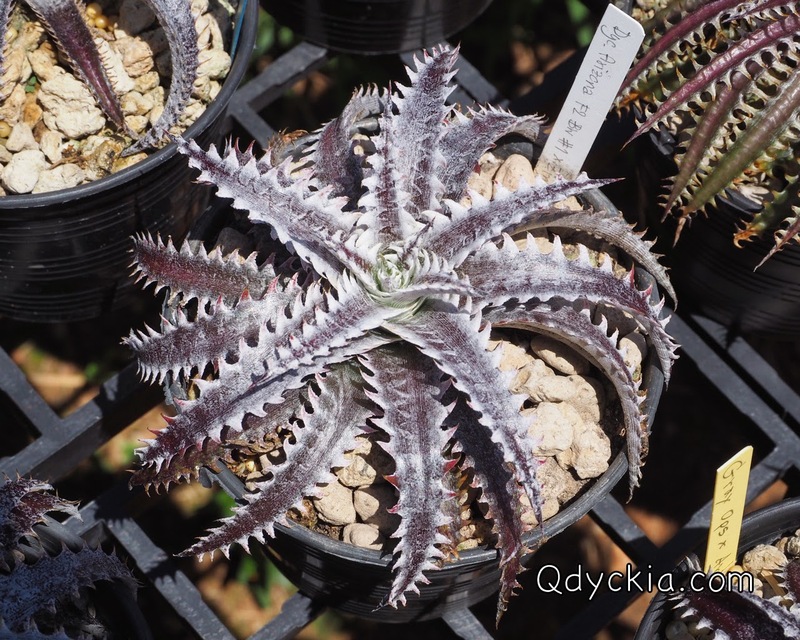 Dyckia Mercury original clone X Squid, new hybrid seem to be strong for me. 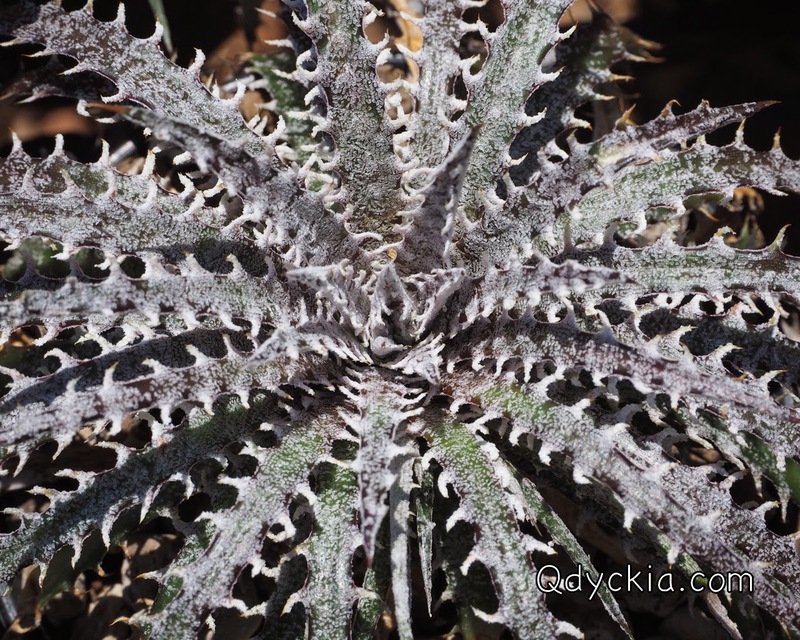 Small size Dyckia with perfect white trichome. 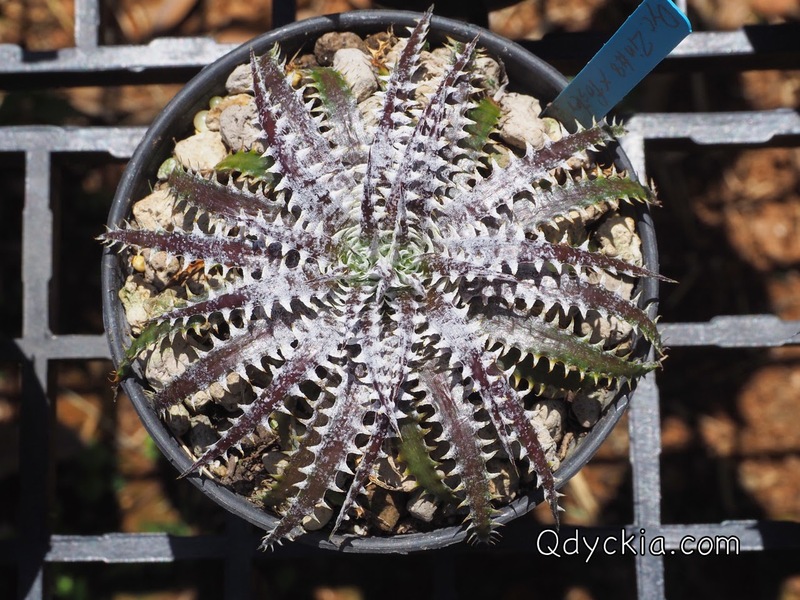 Dyckia Zinfandel F2 # 8 X Sawfish, white and small. 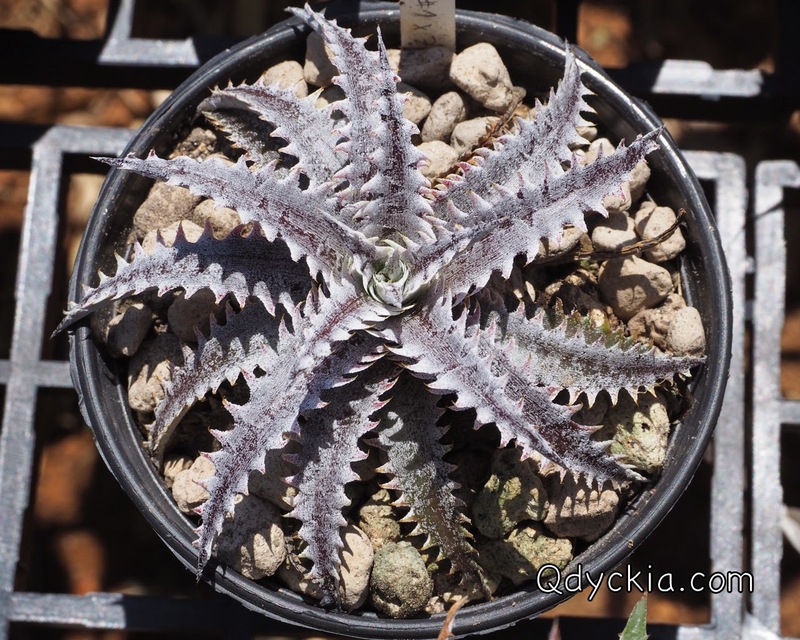 Dyckia fosteriana-fosteriana Nels Christianson, nice trichome and great looking now. 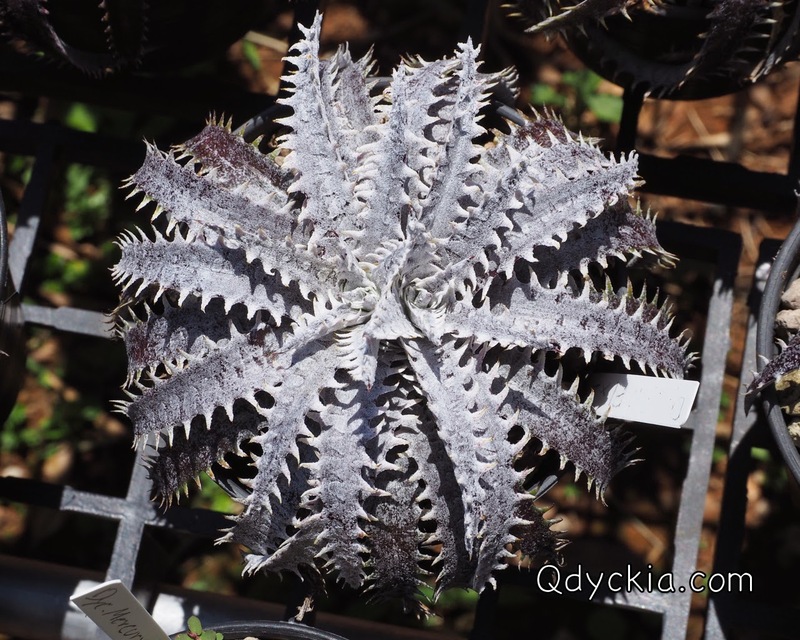 Dyckia Sawfish X Zinfandel F2 # 8, big teeth and nice trichome. 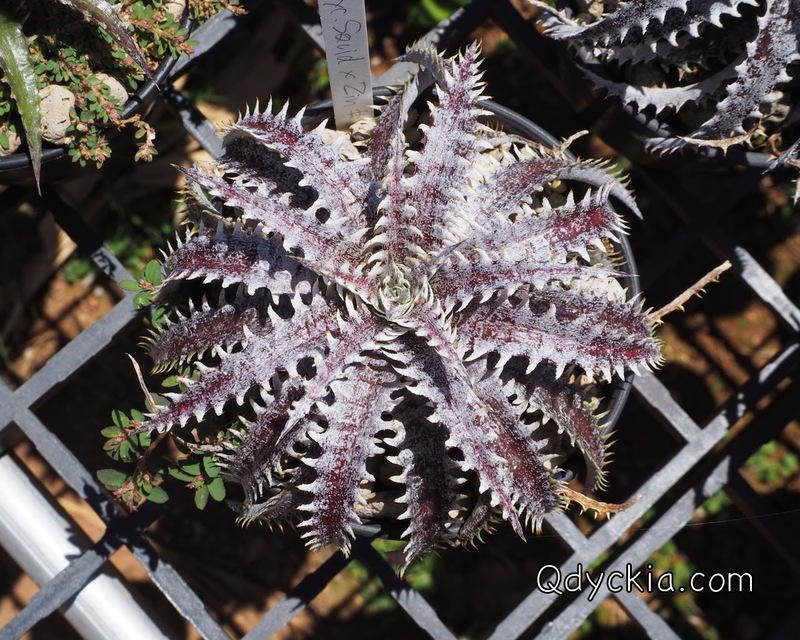 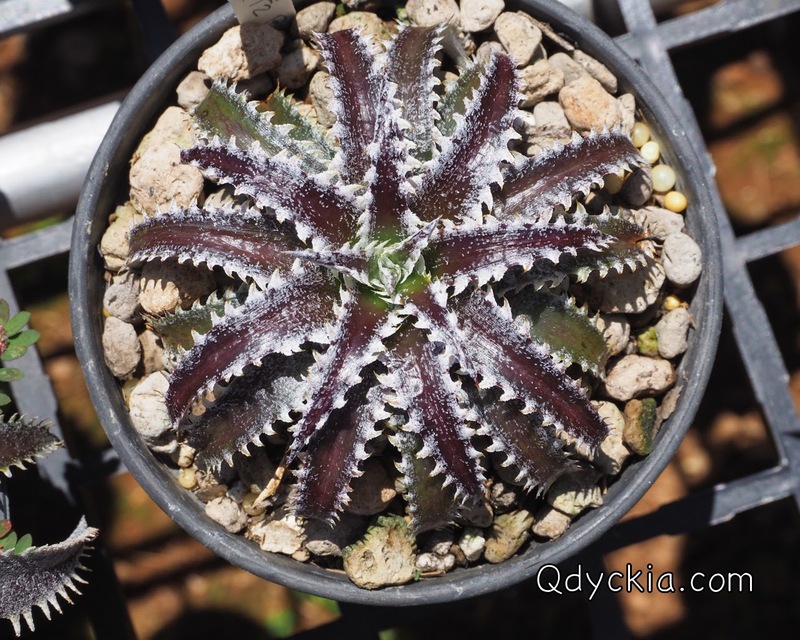 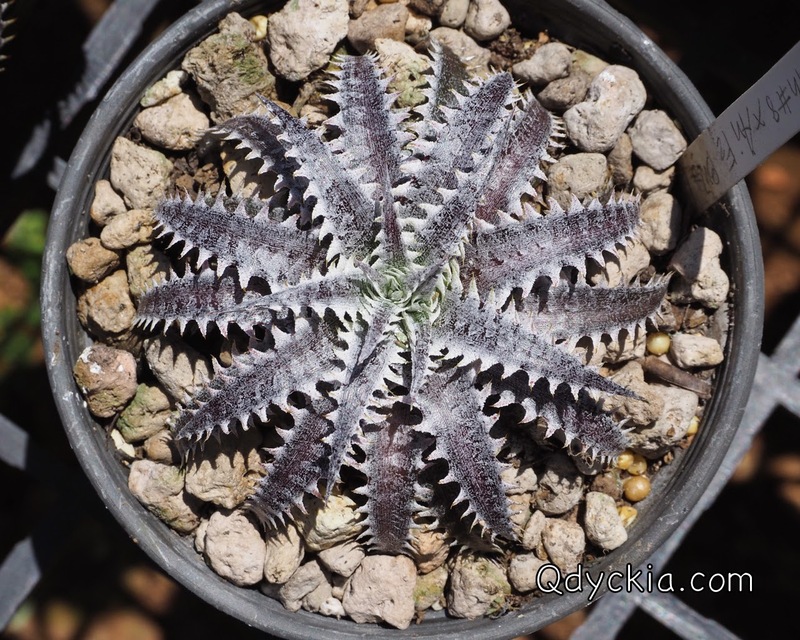 Dyckia Brittle Star F3 Reverse Spines X Zinfandel F2 # 8, great looking teeth.